Whether they’re pulling you down the sidewalk during your daily walk or excelling at canine sports, there are more than a few brawny dog breeds known for their power and strength. You’ll recognize them as the dogs bred for things like farm work and protection, and they’ve also found places as prized family pets. They’re big and built with noticeable muscles, but they can also be sweet and silly. They’re the jocks of the dog world, and we can’t help but fall in love. Training is essential to keep these strapping canines under control, but if you’re looking to bring home one of the strongest dog breeds, take a look at this list. Weighing as much as the average adult man, the Saint Bernard is one of the largest dog breeds around. It has rippling muscles all the way down to its toes, but you might not notice them underneath its thick fur. It’s a rare day if you happen to spot one of these big dogs frolicking at your local park or walking down the sidewalk, but despite their low ranking on the AKC’s list of most popular dog breeds, the Saint Bernard remains relatively famous and well-recognized. They owe much of their fame to a slobbery star named Beethoven, but the big screen isn’t the only place where they’ve excelled. Saint Bernards are known for their heroic work as rescue dogs. Across the globe, these big dogs are employed to help find and rescue lost hikers and mountaineers. They pull people out of deep snowbanks and help transport them to safety miles away. The AKC reports Saint Bernards are responsible for saving thousands of lives, and their dedication to saving people also translates into their home life. The breed may be big, but they’re as affectionate as a dog can be. They’re gentle with children and love nothing more than spending quality time with their families. A Saint Bernard’s heart is the strongest muscle in their body. They’re not the biggest dogs on the block, but Rottweilers have a reputation for being fierce and powerful. At home, these medium-large dogs are calm and playful. They love to cuddle close to their friends even if that means squeezing themselves into laps they definitely don’t fit into, and they bond with families that show them love in return. You’ll laugh watching your Rottie snuggle with their favorite plush toy, but it’s impossible to forget these big softies are also incredibly strong. They’ve been bred for centuries to be working dogs. Their original job was to herd and guard livestock as Roman legions conquered their way across the continent. They continued to work as herders over the centuries, but they have also branched out to be police dogs, personal protectors, and guard dogs. 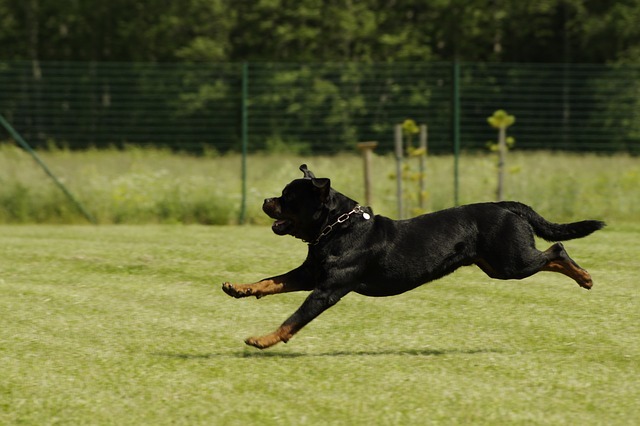 Few intruders would choose to continue a crime if faced with the snarly bulk of a Rottweiler, and the breed’s strength and speed virtually ensures the dog will come out on top. Strength and fearless courage are two traits of the beloved American Staffordshire Terrier. Their rippling muscles are impossible to miss underneath their short, glossy fur. Their intimidating strength has played a part in their complicated reputation, but when properly trained and cared for, these dogs are a lot more than their muscles. 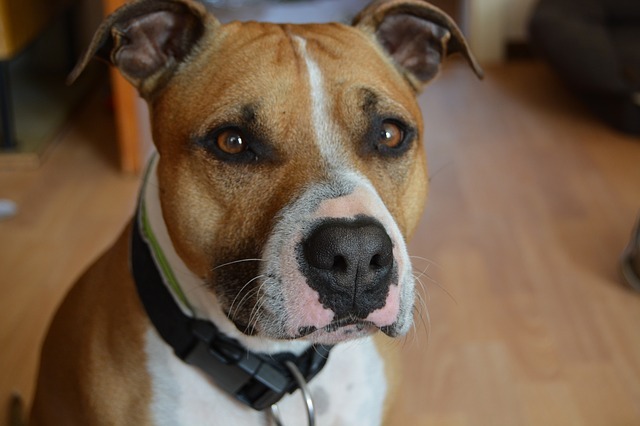 American Staffordshire Terriers are exceptionally smart and loving. All they want to do is please their people, and that makes them highly trainable. They’re often found working beside police officers to protect the public, and they’re big winners when it comes to obedience competitions. Because of their strength and energy, these dogs fit in best with families that are equally active and willing to put in the effort toward training. The right use of positive reinforcement training can shape an American Staffordshire Terrier into a loyal family dog. Great Danes live up to their name in both size and strength. Towering over almost every other dog, and even some humans when they stand on their hind legs, these giants are built like workhorses. Part of their strength advantage has to do with their imposing size, and most of their bulk is comprised of hard muscle. They can weigh around 175 pounds, and an in-shape Dane is truly impressive to look at. There’s a certain novelty that comes with walking down the street with a dog closer in size to a horse than the other canines you pass, and because of this, people from all over adopt the breed into their families. Great Danes are friendly dogs with relatively low energy levels, but that doesn’t mean they’re perfect for every family. Their size and strength require an experienced handler. If you’re not careful, your prey-driven Great Dane could pull you on a wild cat chase no matter how hard you dig your heels into the sidewalk. As another canine heavyweight, the Newfoundland gets a lot of its power from its heavily muscled back and hindquarters. 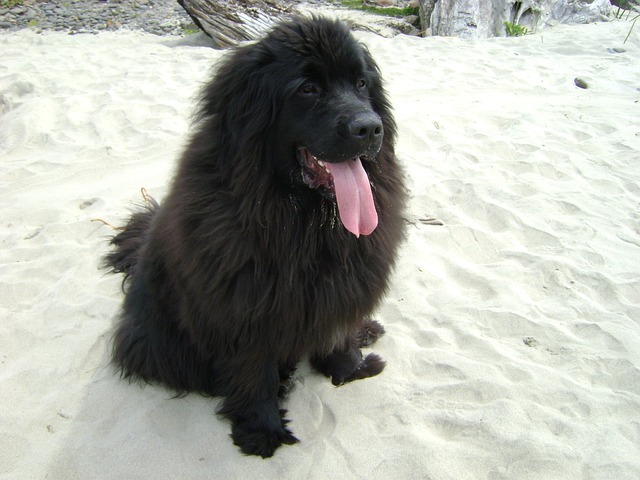 A mature male Newfie tips the scale around 150 pounds with females coming in at a slightly slimmer 120 pounds. While it looks like most of their weight comes from their abundance of thick fur, these big dogs are accomplished athletes. Cart pulling is their sport of choice thanks to a long history of hauling heavy loads of fish and fishing nets to and from the docks. When they weren’t on land, these dogs also proved invaluable in the water. They have partially webbed feet that help propel them through waves, and they’re strong enough to tow a grown man through the water and save him from drowning. Even today, Newfies are considered the best breed for water rescue. Possibly the only breed on this list you’ve never heard of, the Kangal is from an isolated region in Turkey. 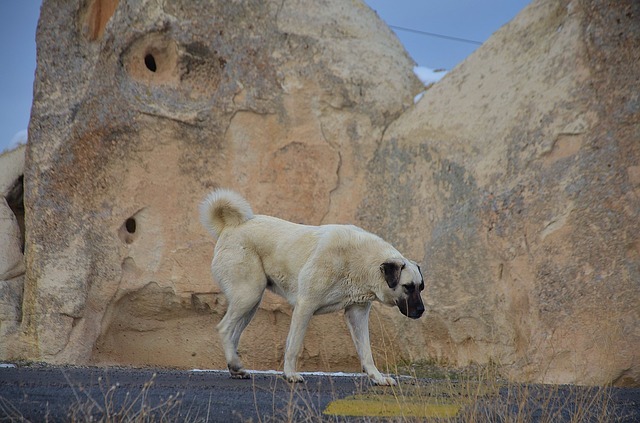 It was primarily bred to be a guard dog to protect people, livestock, and property, and the breed’s main population still resides on farms in Turkey. A few have also spread to Europe and the United States. Even off the farm, these large working dogs still need a job to do. They like to have land they can patrol and protect, and it’s essential for their owners to focus on both training and socialization. Without these, powerful dogs won’t hesitate to use force to protect what’s theirs. With a bite force of 743 PSI—the most powerful of all dog breeds according to World Atlas—you really don’t want your Kangal out of control. Owning a large, powerful dog comes with responsibility, and they’re not for inexperienced owners. Built for strength, the Alaskan Malamute was born to be in front of a sledge. They’re big dogs originating from the Arctic, and no one can compete with them when it comes to pulling heavy loads of supplies across snow-covered tundra. Their cousin, the Siberian Husky, may be best known for their work in the harness, but Mals are considerably broader and stronger. Huskies are great sled racers, but Malamutes are the dogs you need when you have a lot of weight and many miles to go. 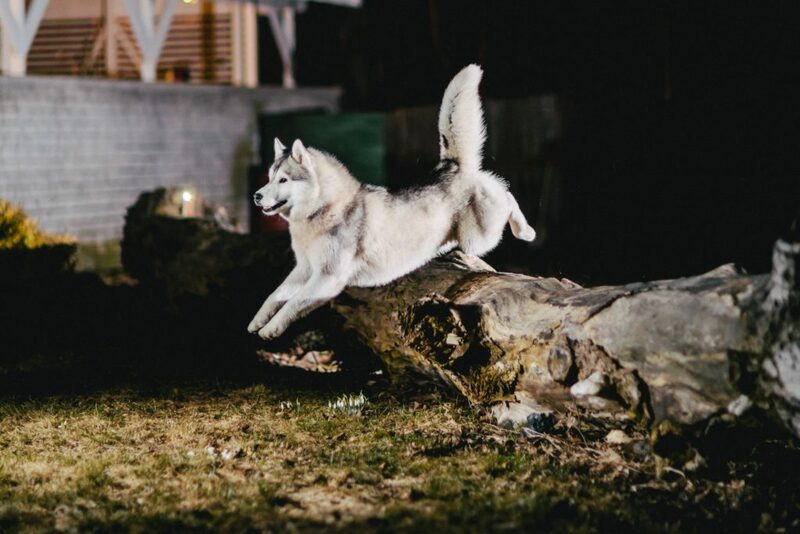 Malamutes are classic working dogs along with lovable family pets. Stubbornness can run in the family, but positive reinforcement training goes a long way. They’re typically gentle with children despite their large size, and as pack animals, they want nothing more than a family to call their own. The German Shepherd Dog is one of the most popular dog breeds in the country, and it’s partly because people admire their strong stature and athletic ability. They work for police and military, and they use their strength to save lives with search and rescue and weapons detection. There are few things they can’t do. Whether their job is protecting the public or being a family’s pet, German Shepherds need an outlet for all their energy. 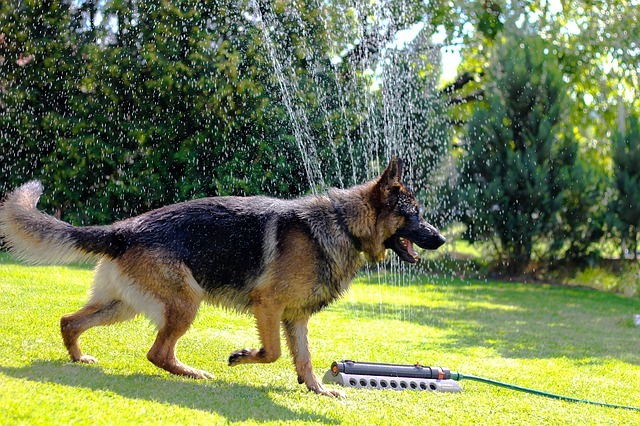 It’s usually forgotten that German Shepherds were originally bred to herd sheep, and like others in the herding group, regular exercise is essential for both physical and mental well-being. A quick walk around the block won’t be enough to satisfy this strong dog breed, and German Shepherd owners need to be committed to providing their dogs with opportunities to use their intelligence and athleticism. With the right training, care, and attention, all of the strong dog breeds on this list could make wonderful additions to your family. The key to forming a good relationship is understanding that having a strong dog comes with responsibility. 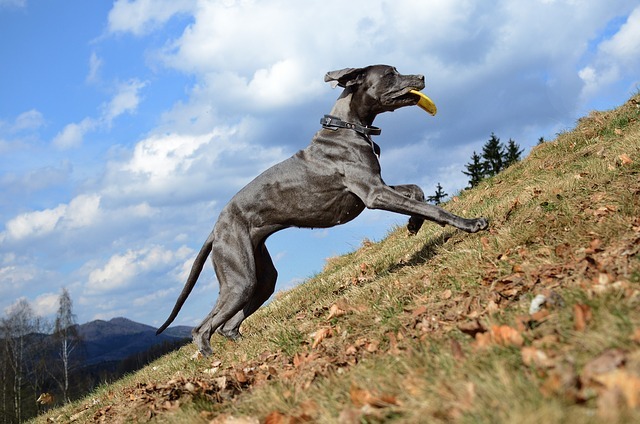 It’s up to you to cultivate an environment where your dog can be active and energetic in a safe and satisfying way. If you’re having trouble managing a dog that seems to be stronger than you, don’t hesitate to consult with a trainer. You can’t force a strong dog to do anything, but you can teach them how to be a well-mannered member of the family while using their strength for all the right reasons.